How would YOU use it??? …and what does it say about you? If you could have one single superpower what would it be? Flying might be cool! We’d never have to worry about getting caught behind an ocean of red break lights on the freeway when we’re running late to work again. And if we ever got stuffed in an airline seat between one of next season’s Biggest Loser contestants and a whiny five-year-old germ factory it would be by our own choice. Of course it might also take super-strength to carry our luggage so maybe flying of and by itself wouldn’t be all that all that its cracked up to be. Another cool superpower might be super-speed. A few years ago there was an awesome commercial for Comcast High-Speed internet where a young couple is faced with having to wash a disheartening amount of dirty dishes piled into and around an industrial-sized sink. The guy walks over to the wall, unhooks the Comcast cable line pours out a couple of drops of liquid “high-speed” on his hands and rubs it in. Suddenly his hands and arms began whirling faster than the eye can see and in an instant the newly clean dishes are stacked in neat columns across the counter. Believe me, there’s a night or two when my lovely wife Angie has had to scold me for unplugging the cable when it’s my turn to do dishes. In my defense anything is worth trying once. Okay—twice. Speaking of getting scolded, there are some superpowers that would be more likely to get us into trouble than others. For instance, Angie would probably not let me have X-Ray vision. And if by some miracle she did then I bet I’d never be allowed to leave the house again. Sure, maybe she’d let me visit the occasional nursing home and perhaps our local Wal-Mart, but that’d only be because there’s absolutely no shot at seeing an attractive female anywhere around those places. And I bet this prohibition would extend to teleportation and walking through walls for very similar reasons. As humorous as all of this is, a simple exercise like choosing a superpower can give us a lot of insight for examining our own personal character. For instance, consider the following questions: What kind of things would we do with our chosen superpower? When would we choose to use it? Would we use it for business purposes—farming out our ability to the highest bidder? Would we be under any obligation to use these powers to serve others like the government, police or even people in need? Long ago in an ancient society there was a shepherd who tended the king’s sheep. One day while tending the royal flock the shepherd discovers a magical golden ring inside a hidden cavern. To his surprise, when he puts the ring on and twists it around backwards he becomes absolutely invisible! The shepherd decides that this new found abilities are quite fun and uses them for amusement and playing harmless jokes on his friends. But one day, while invisible, he overhears the king and some of his fellow servants talking about him behind his back. He becomes angry and decides to use the powers of the ring for revenge. Over the course of time the shepherd uses his ability to obtain private knowledge which helps him to garner the king’s favor at the expense of those who had humiliated him. Once he is close enough to the king he seduces and conspires with the king’s wife to murder him. At last, using the powers of the ring the shepherd marries the queen and becomes king himself. This story is a slightly altered version of Plato’s The Ring of Gyges. * The shepherd, the tales’ protagonist, is the literary prototype for classic characters like Griffin in H.G. Wells’ The Invisible Man and Gollum from J.R.R. Tolkien’s The Lord of the Rings as well as many others. In these stories average people find a way to become invisible to others. Over the course of time their power begins to change them because it allows them to conceal their own selfish attitudes and actions from others and frees them from the personal sense of accountability. 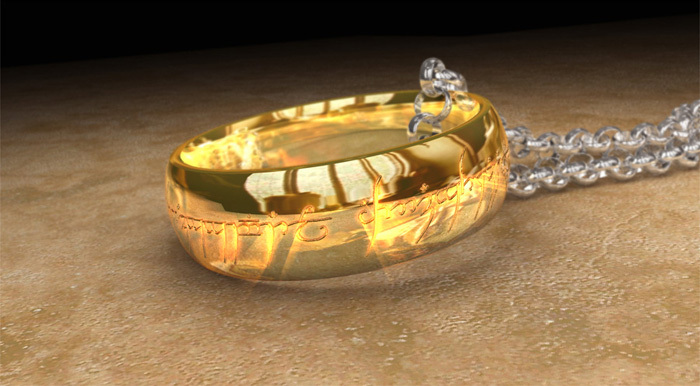 Tales such as that of the shepherd’s ring are often used to argue that human nature becomes irreparably corrupted by gaining supernatural abilities. But is this really true? Does ability, as of itself, corrupt people? Let’s take a moment and consider the superpower that we chose earlier. How would having that ability change us? Would having that superpower make us better or worse members of our family, community or society at large? Since I don’t know what you choose for yourself, let’s pick a random one in order to make an example. Suppose for a moment that our superpower was the ability to read the thoughts of others. None of us would probably hesitate at using our ability to do things like help the police find an abducted child by reading a suspect’s mind. As parents we’d probably use our powers occasionally to check up on our teenaged kids. (At least if we’re smart.) But where would we draw the line with using our superpower? It’s an easy question when we’re talking about situations that are obviously right or wrong but what about those sticky gray areas? Would we be willing to use our mind-reading ability to cheat at a family board game or to out-haggle a car salesman? How about this scenario: Against your own self-imposed rules, you decided that one single time you would read the thoughts of your mate in order to get a hint from them on what to buy them for your upcoming anniversary. However, in the process you inadvertently discovered that they were hiding a very large amount of money from you. Would you be willing to use your ability again to find out more? In this last hypothetical situation where someone we care about is hiding something from us, we find ourselves in a situation similar to the shepherd in the story of Gyges’ ring when he overhears his associates talking about him behind his back. Honestly, if he or we were not already using our abilities unethically then the perceived “betrayal” would never have come to light. The shepherd’s “revenge response” was based upon the level of personal character that he already possessed within. The ring could not make him better or worse but it would definitely amplify the character tendencies that he already had. The point is that he had the chance to decide how to respond and he chose revenge. Just as easily he could have used his ability to win more credibility among those peers rather than plot their demise. The same is true for us. If our character were completely outgoing, balanced and trusting then our first thought about the hidden money would be that perhaps they were saving up to do something exceptionally nice for us or the family as a whole. Maybe their character is one of give and outgoing concern but not forthrightness. But all right, for the cynics that are out there let’s say that our mate’s intention was indeed wrong and deceptive in holding back the money. Whether or not we will writhe in self-pity, become paranoid or even openly hostile it will simply be a function of our existing character. We can never make and live with choices that are beyond our current level of character. And that my friends is why there are a lot of unhappy people out there, superpowers or not. Now I think we can all see why the simple, amusing exercise is valuable for our own self-examination process. If we’re honest and pay close attention it will reveal and magnify many positive and negative traits and tendencies that already exist in our character and therefore it provides something concrete to work on in ourselves. Thus, it can show us how to become better people. Interestingly, the choices that we would make if we could fly or walk through walls are the exact same kinds of choices that we would make if we won the lottery or received a promotion at work or were put in a position of public authority—we would likewise rise or fall to our current level of character and conditioning. The things that make us angry now will makes us just as angry then—the only difference is that we would have a greater capacity to do good or evil. Frankly, it should scare us a little and make us respect the process that it takes for us all to become better leaders, teachers and role-models in society just a little more. Believe me, its much scarier to look at today’s headlines and see how the richest, most influential and powerful individuals on the planet are using their superpowers. There are so many supermen out there leading our society that have never developed the character that it takes to restrain themselves from the pulls of greed, power, control and revenge—and all of society is suffering because of it! The responsibility lies in us and in our children to put in the work that it takes to gain better self-awareness, self-insight and self-control and prepare ourselves for our opportunity. The day is coming when we will be able to make a difference in the world, but first we have to be made ready. So go on—find your superhero cape and let’s save the world. Just first let me run by and unhook my cable for a shot of that “high-speed”—that is if Angie doesn’t catch me first. * The original story The Ring of Gyges is not very family friendly especially surrounding details of the shepherd’s seduction of the queen. So, for you philosophy scholars yes I have changed details to keep it all PG. This entry was posted in Uncategorized and tagged Business, character, education, leadership, Management, Opinion, personal, politics, Service, Superheroes, teachers, teaching. Bookmark the permalink. 2 Responses to How would YOU use it??? …and what does it say about you? I think this was your best article yet!! Keep up the good work! !